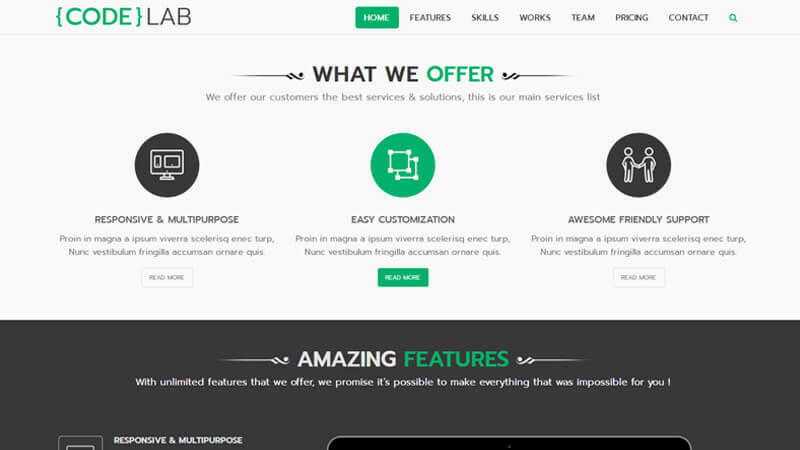 Code Lab is a creative design to describe your web services. 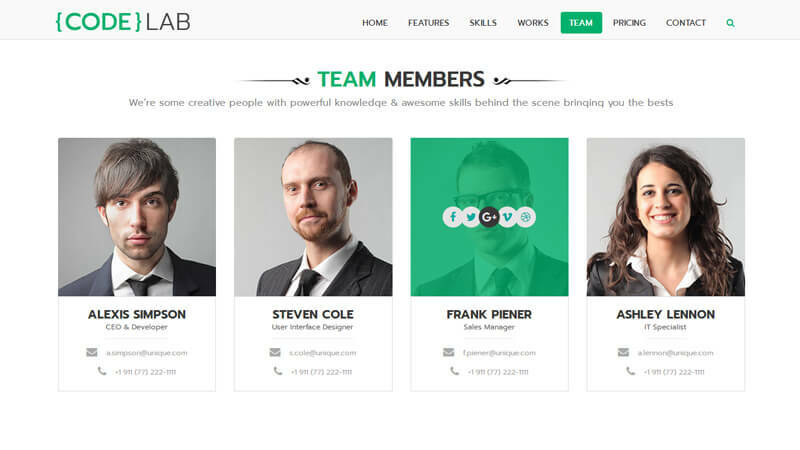 This template is specially designed to promote your Web Design and Development Agency / Company. This is a responsive design that can be viewed perfectly in every devices, such as mobile, tablet and desktop. 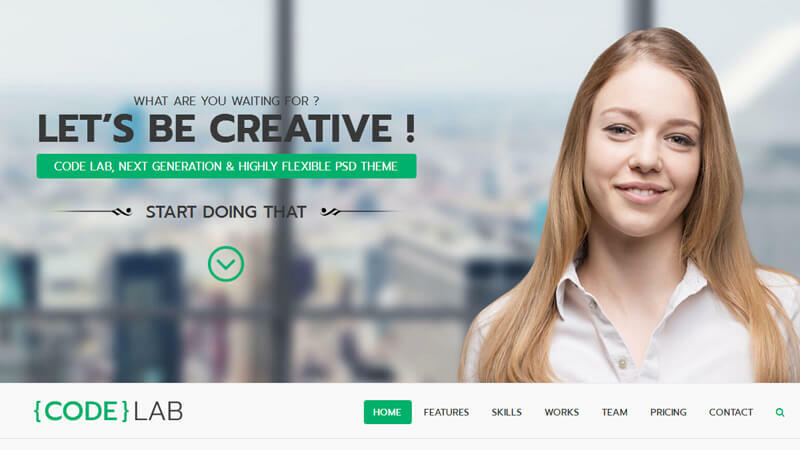 It is a clean responsive, user-friendly web design solutions one page template which is built using Bootstrap / HTML5 & CSS3. This is a fully featured design. 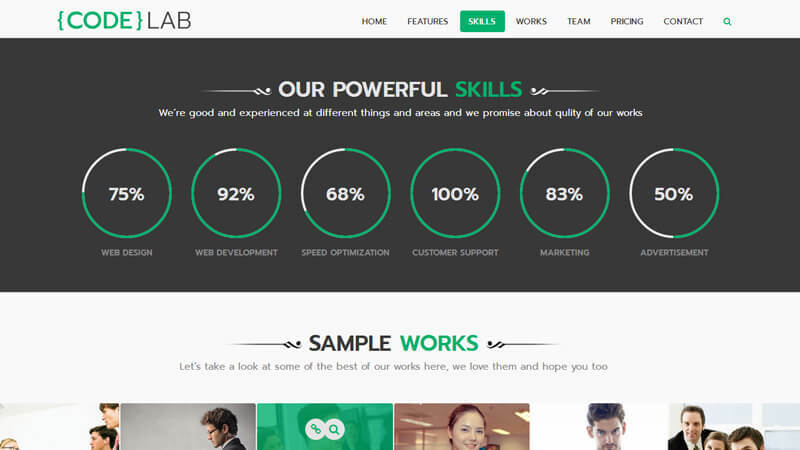 This theme is suitable for web design agency, business portfolio and more.